Looking to send out some magazines, birthday/Christmas cards or invitations? Choice Fulfilment offer a bulk mailing service that is perfect for one off sending or sending subscription products to your customers. Using bulk mailing can help get your business more sales. We can send out your promotional materials for you and we offer discounts based on quantity and the sending location. If you’re living in Plymouth, we can even collect your mail free of charge. We collect every weekday from Monday to Friday. Our mail is delivered to Royal Mail the same day and the majority of our mail arrives the next day. Get discounts when you send lots of mail! If you know you are going to send a lot of mail at once, bulk mailing can be perfect as Choice Fulfilment can give you great discounts particularly if you are sending thousands of one item. We can cope with various mail sizes including magazines and newsletters. For new businesses looking to build up a customer base, a mail shot can be the perfect choice. Our relationships with Royal Mail and other couriers mean you get a great deal on bulk mail. Whether you need to let your customers know about a policy change or you simply have a special offer running, we can help. Contact us and we can take your stack of letters or magazines and send them out with the aim of next day delivery. Bulk mailing can be a large investment especially if you’re just starting out and money is tight as it is. This is why we offer lots of options in terms of quantity and discounts. We have an experienced team of staff ready to handle whatever you throw at us. We won’t let you down if you choose to send with us. 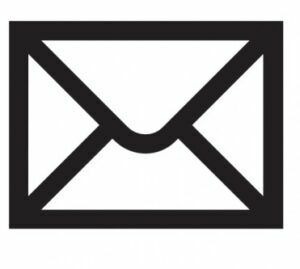 If you are interested in going ahead with a bulk mailing or you have further questions, use the button below.